This natural shaped kitchen board is made from beautiful olive wood, with the luxurious grain running over the smooth rounded edges. 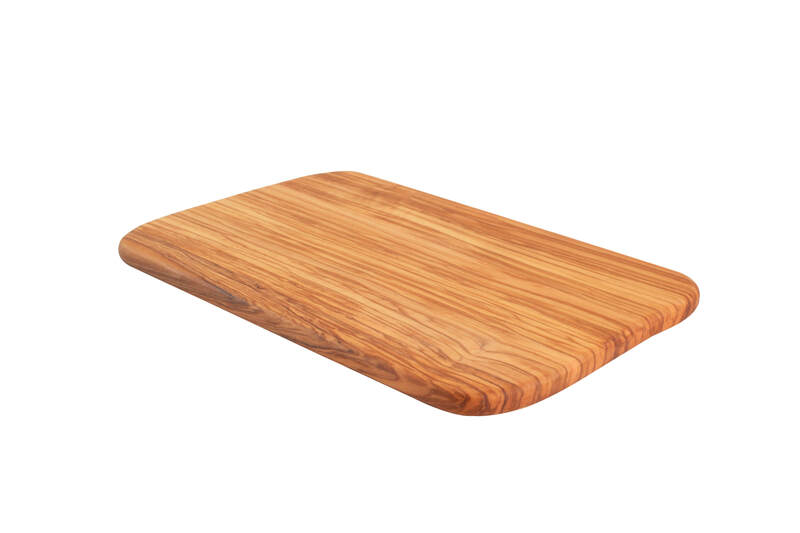 Protected with oil, this medium sized kitchen board is perfectly designed for serving your breads, meats, fruits and cheeses. As with all natural wood, designs vary. Care: Wipe clean and protect with Oil.